If you need your ducts to be cleaned in Frankston then call Rich Cleaning now! We provide duct cleaning, ducted heating repair services. Book Now. Frankston is located in south-east of the Melbourne and the area looks beautiful which is close to the beach. Considering its nearly 50 KM away from Melbourne CBD, there may not be many duct cleaners in the area. We at Rich Cleaning Melbourne, extend our service in Frankston and other nearby suburbs. 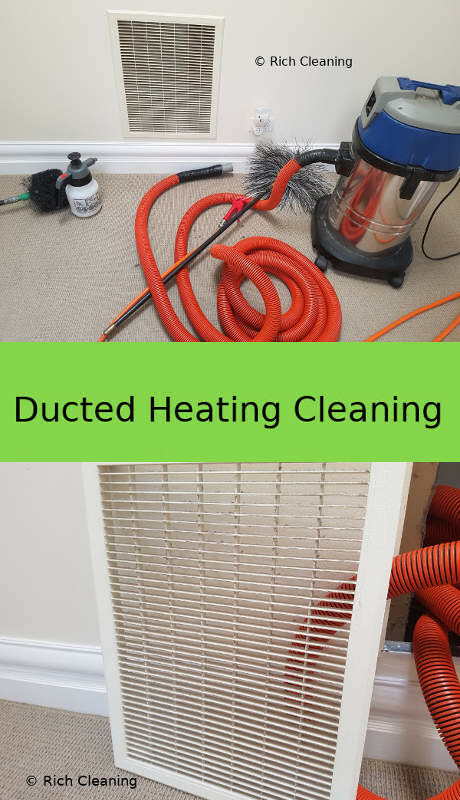 Rich Cleaning is known for a quality duct cleaning in Frankston to get your duct and vent cleaned? We provide best cleaning experience to boost the ducted heating and cooling efficiency. The temperature in Frankston goes very during the winter and also gets very hot during the summer. The performance of duct becomes very important to get quality air from your duct systems. Keeping your duct cleaned and in good condition is the best way of living in your home to get the best efficiency and save on your power bills. We have top level duct cleaners in Frankston to provide you with amazing cleaning experience. If you need help with repairing your gas duct then we can help. We provide service based on your availability, we are available on weekdays, weekends and also based on your specific requirements. Before you think about the price, you should think about the quality. We aim to provide the best job possible. We may not be the cheapest in the market but if you need quality job at a good price then we can get your duct maintained. Duct cleaning before and after photos tells the story better than words. The cost of air duct cleaning in Frankston mainly depends on the number of duct system you may have also the location matters and importantly the level of dirt may also influence the cost. Our quality of service is guaranteed. We aim to provide best service at right price. Carbon monoxide test comes free with our duct cleaning service. We all know it is a silent killer and its worth getting it checked. Our technicians are trained test the level.